Contact us or call 1300 550 765 to discuss your school management requirements. 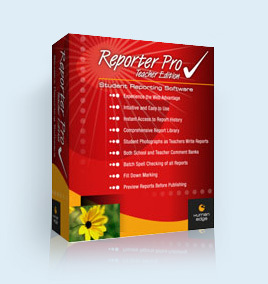 Why Choose Reporter Pro ? We have developed an extensive range of student reporting designs. Browse through the categories listed to select the template that best suits your school requirements. If you cannot find what you are looking for contact us and our team of specialists will be happy to create the design for you. Not content with providing just end-of term reports, Marian College wanted to report student progress on a five-week rolling cycle. But the administrative demands would be a nightmare; how could the school make it work?